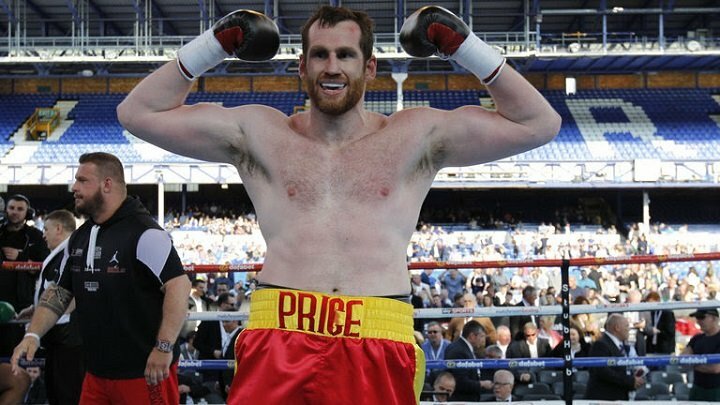 David Price 23-6 (19) is targeting Lucas Browne 27-1 (24) as he continues his heavyweight comeback. The 35-year-old Liverpudlian will return to action on the undercard of the undercard Liam Smith versus Sam Eggington at the Echo Arena in Liverpool on March 30 live on Sky Sports after knocking out Tom Little in four rounds in December. It will be the 2008 Olympic bronze medallist’s first fight in his hometown in more than three years. If successful against Little, Price sees former WBA ‘regular’ heavyweight champion Browne as the perfect next step in his career. It comes after the 39-year-old Australian revealed last week that he is looking at fights against Dave Allen 23-6 (19) and Price in 2019. “The Lucas Browne fight is one that’s been mentioned this week and it’s a fight I asked for after the Tom Little fight,” Price told Sky Sports News. “That’s a fight I would love to take on board after this one, or even if he fights Dave Allen, whoever wins that. Price is aware that his time in the game is limited after losses last year to perennial contender Alexander Povetkin 34-2 (24) and rising star Sergey Kuzmin 14-0 (11) and has admitted his dreams of winning a world championship may be behind him. “The reality is, when I’ve tried to reach world level, it hasn’t worked out, and I accept that, so I will just go as far as I can go,” he said. “Wherever it may be, I will know when the time comes and I lose again and that’s it. I can’t make any more targets than that.